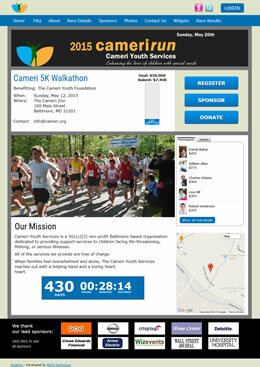 Add the social fundraising component to your existing event. When reviewing templates, do not pay attention to the colors in each of the templates. They will be customized to your organization's brand. Rather, focus on the layout of the elements such as the buttons, photos, the width of the page, etc... If you like a particular template, but don't want to include certain elements on it (thermometer, countdown, etc..), please note this. You can also mix and match elements. If you wish to submit your own template design, we will let you know whether we can accommodate it.